In a state known for rural beauty, Sugarbush may have the prettiest corner of any ski area. In the bucolic Mad River Valley, residents find a way to embrace tourism without spoiling the natural beauty that attracts tourists. Along with beautiful views, Sugarbush has an often under-appreciated variety of charismatic terrain. Skiers rave about Castlerock, of course, with its ungroomed steeps and throwback fixed-grip vibe. Over at Mt. Ellen, Sugarbush’s whole other ski area connected by commuter lift and the huge tracts of Slide Brook sidecountry, there’s more of the real-Vermonty feel on trails like Black Diamond, Exterminator, Tumbler, and Hammerhead. That said, the resort’s finer things don’t go neglected. Visitors praise the dining experiences both on and off-mountain, the tastefulness of Lincoln Peak’s base-area architecture, and the resort’s bold decision to offer Vermont-only beers from its taps. Sugarbush celebrates its 60th anniversary this season. Be on the lookout for special events throughout the winter that will give a nod to the resort’s long and legendary ski history. VALUE Getting old has its perks: starting at age 65, you’re eligible for the Boomer Pass. Unlimited midweek skiing, plus discounts on blackout days, starting at $139. CHALLENGE Try Black Diamond, off the summit at Mt. Ellen, and Ripcord, off Heaven’s Gate at Lincoln Peak, and compare for yourself. BUSH PILOTS It’s like a weekend freeride ski program for adults. Very social, and pro rippers will show you the goods. BRAGGING RIGHTS Castlerock is plenty tough, and better known. 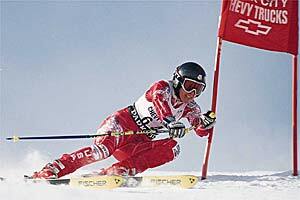 But the toughest runs are at Mount Ellen: Black Diamond and FIS.